Take Amazing Photos with these little known tips and tricks! I regularly receive testimonials from students who have successfully completed both my free photography course, and my Digital Photo Secrets video course. 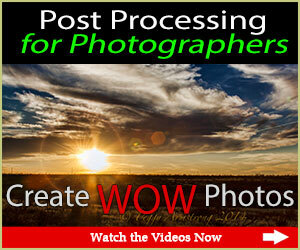 The “secrets” of professional looking photographs used to be known by only the Pros. David Peterson is helping to change all of that… his Digital Photo Secrets Video Course is FANTASTIC! His crystal clear explanation of the principles of photography, combined excellent images and graphics makes learning fotography phun! 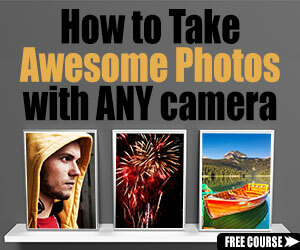 I highly recommend this course to photographers of all levels.. .from beginners to advanced amateurs. Since I returned home from the War in IRAQ (combat Chaplain with 4ID), I’ve been teaching Digital Photography full time at Loyola High School, Los Angeles, CA. I love finding outstanding tutorial material for the Lads…and this course gets an “A” in my classes. It’s taken a while to get through the many helpful tips in the Video Course. I’ve learnt so much. Initially I bought your two photography books which gave me so much information. Now I have the twenty two hours of video that brings everything to life. The addition of Neil Creek’s course is invaluable. I particularly enjoyed the part on the ‘Blue Hour’. I’d never thought about taking shots after the sun has set. I just can’t wait to get out there and put into practice what I’ve learnt. The video course is a must for not only those who are starting out but also for all keen photographers who want to improve their photography. I know I’ll be watching specific parts of the video before going out to shoot. Hello David. Your support is first class. I thought I didn’t need Basics but checked it out anyway and oh yes… I’m surprised at what I did not know. I’m going to love this course. Hi David !!!! I was standing outside tonight and said to myself that I wanted to start taking OUTSTANDING photos instead of what I considered candid shots whether it was a Portrait shoot, Wedding, or Special Occasion. So, I immediately walked inside and typed “how to take outstanding photos” and your site was the first one that showed up and the best of all it was a FREE COURSE !!!!!!! Thank you for the opportunity to learn all I possibly can from your site and to give you all the credit… Hope to meet you someday to thank you in person!!!!!!! Just started your free course and my photos have improved from Day One! Thanks. Hi David, just wanted to say how much i’m enjoying and learning your course.I have a ways to go, but i have learned a lot already. I appreciate all the work you put in to it. I printed all the tips you gave, now i can go back anytime i need to,because my memory is not as good as it used to be. Thanks David for the fantastic tips. You have made me understand a great deal in such a short time. A lot of info that is about is technical your tips have been down to earth and i have learnt more this last 3 weeks than i had in the previous 10 months of owning my DSLR. Once again Thanks and keep up the excellent work. You are a true inspiration to all us enthusiastic snappers, especially those like me that have a significant camera but no idea how to use it! It is a shame more experts with vast experience do not share their knowledge FOR FREE as you have done. Big thanks from all your fans. From simple to complex, your tips are simply astounding, and have become a new source of info and inspiration for me. I can’t thank you enough! Wow, I am so impressed with what David has sent me so far. I went through the corse and am now trying to retain the information by going through the tips again. I have an understanding of what my camera can do, and still learning how to set up for the perfect picture I want to create at any time. I am looking through different eyes than before I took the coarse. Thank you David. Your concept of releasing one tip per day is by far the best idea ever,gives me at 86yrs old time to grasp one tip before going to the next i have many books that tell me to go to page 69 for half the answer then page 28 for the rest too confusing, secret tips first class idea keep up the good work now learning the easy way. Your program has been very inspiring and knowledgeable, I have learned alot and I can’t wait to learn more. Thank you very much. I have been learning so much from the reviews I get for my photos and also from the reviews of other photographers work. I have found some specific areas that I am very much weaker in and I intend to work on that in future. [This course] has actually brought me a long way into actually expressing the ideas I see into pictures. If you want to be taken seriously as a photographer, you need [this course]. Even my father who is a professional photographer is impressed, and now will discuss my pictures… Thank you again for giving me a new career. Your lessons are clear, precise and so easy to understand. The pictures you included really helped to cement the points. In the later chapters I enjoyed your discussions on travel, children’s photography, visualization, etc. I’ve attended a few courses on photography including the on-line course. But none of it that gave me a straight and layman explanation until I received your secrets of photography. Even with the early few secrets, I have tried and got wonderful and meaningful images that I have been trying all these years. Thanks David for your brilliant and systematic approach. Your explanation as to how f-stops are calculated was a first for me but as student of mathematics made perfect sense and extended my knowledge on the subject. many thanks for that. I am 73 years old, bit of a late starter you might say. Overall your [photography courses] have proved invaluable. I have certainly improved my photography skills, thanks to you. May i wish you every future success. I have a digital camera, and I’ve taken over 3,000 photographs using it – all on the automatic setting! I’m a little bit embarrassed to admit that, but I guess I’m a little technophobic, and really, I can’t understand my camera manual anyway. I was encouraged… to explore the various scene modes on my camera. It seems my camera is much better than I thought! Last night I took some great flash shots using ‘party’ mode. I’ve always hated flash photography, but the venue was very dark so there was no way I could get away without flash. I also experimented with the ‘night scenery’ mode on the way home, and I think I can have some fun with that! I had absolutely no idea my camera could take good photographs in those situations. So I just wanted to say thank you very much! I decided to get into photography and first picked up the digital photo book for dummies, but I must say, I learned more from [your course] than the “dummies” book! … My photos are much better quality! IÂ´m still learning as I go but thanks to you, I think I’ve graduated from the “dummy” level! Thanks for everything! I'm David Peterson and I'm sharing over 1200 tips and techniques on photography with you. My motto is "Help the world take better photos"! Want more? Watch my video course. Join 468,190 other photographers who follow me! © 2019 Digital Photo Secrets. All rights reserved.